The Wagner ProSpray 3.29, equipped with a digital display, which allows you to read out and process machine data, consumption rates, operating time and much more. The Wagner ProSpray 3.29, equipped with a digital display, which allows you to read out and process machine data, consumption rates, operating time and much more. Ideally suited for large building sites with the capacity to able to handle high viscosity materials such as flame retardants and anti corrosion materials over 800m². We can offer the right Wagner ProSpray piston pump for every area of application, from lacquers and emulsions right up to highly viscous materials on small and large construction sites. Maintenance made Easy – With the push of a button the piston is oiled and thus the packings are conserved. The “Easy Glide” machine oil can be refilled easily. It forms a protective film around cylinder and piston and protects the unit against premature wear. Reliable – The inlet valve depressor guarantees high operating reliability. One press of a button and the valve is free. Auto-Oiler – Just a push of a button and the piston is oiled and the packings are lubricated. The machine oil can be refilled easily, this forms a protective film around the cylinder and piston protecting the unit against premature wear. Self-Adjusting Packings – On the PS3 range lead to less wear and are simple to change. They have a 50% longer service life leading to significantly lower maintenance costs. 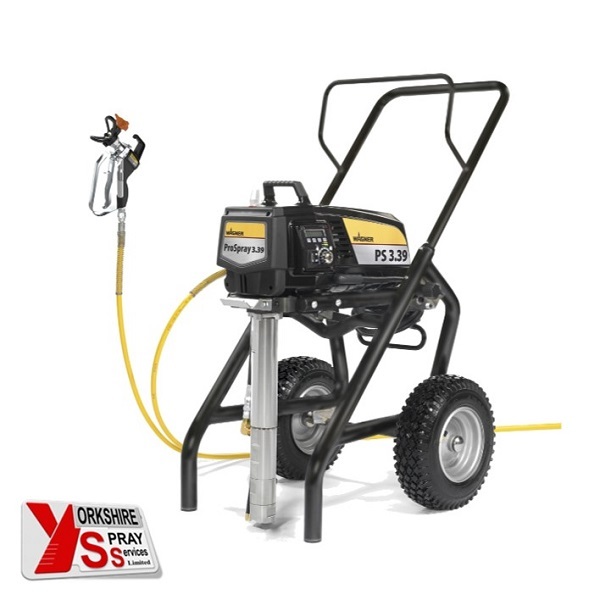 High Pressure Filter – Easily Accessible & Quick to Clean – This additional filtering protects against paint blockages eliminating work disruptions. 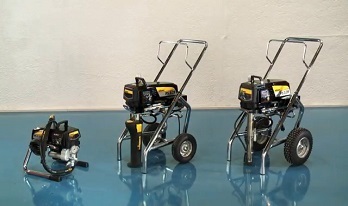 The ProSpray Generation 3, Electric Piston Pumps. Ideal for residential, commercial & maintenance applications.